Okay my labouring in the snake fields is not a fraction as hard as the work the chaps rebuilding the Greek Hovel do but they are used to it and I am not so I reckon our suffering is equal. And here is how we keep going. When I first arrived at the Greek Hovel there was a fridge but rats were using it as a nest and had chewed all the cables. And so I invested in a small replacement which might not pass a Bristol City Council food hygiene test but works. It is now perched on top of a heap of junk at the top of the main steps next to the gap that is my front door. 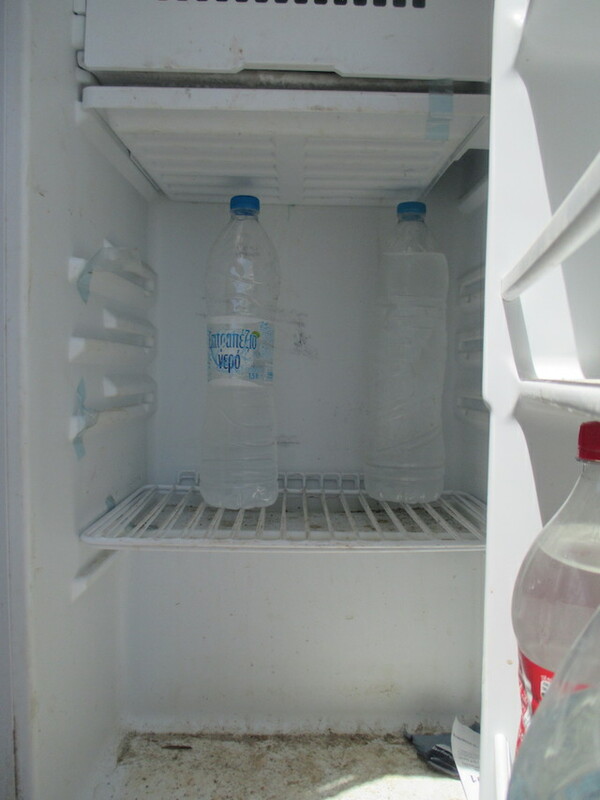 And inside are bottles and bottles of freezing water.